The new Saarang Magic Plus is the smallest of the tanpura range. Palm-sized: 115 x 130 x 80 mm, with a weight of approximately 0.5kg it is light and handy. It has Natural Tanpura sound, using the latest sampler technology and produces a clear sound with amazing volume without distortion even at high volume. 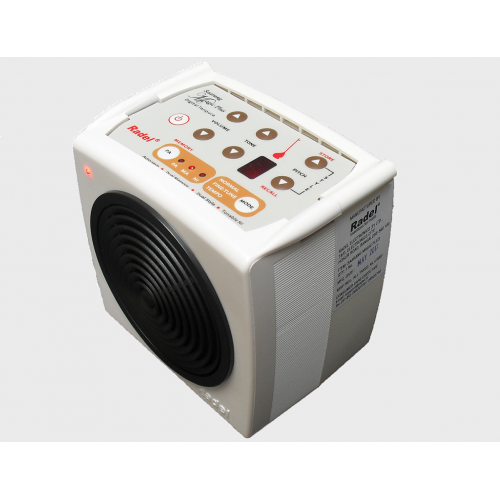 The Radel Mini Miraj digital tanpura is a compact version of the Miraj Plus tanpura.Palm-s.. 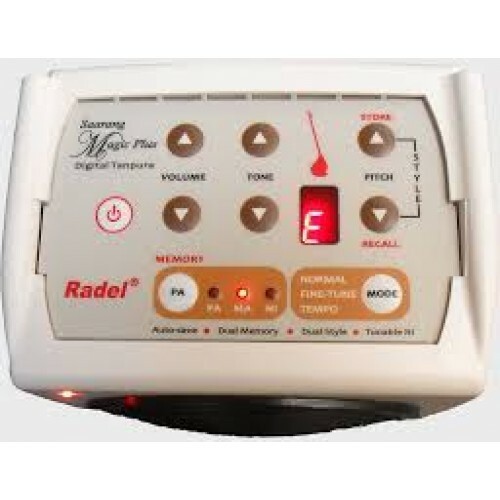 The Radel Saarang Miraj Plus digital tanpura sounds so close to a traditional tanpura, tha.. The Saarang Ranjani+5 is a Hi-fidelity natural tanpura with the superior tonal quality ach.. The Saarang Sparshini Dx is an artistic digital tanpura with a grand stage presence and an.. The Sunadamala Lehra Plus instrument is the original electronic musical instrument designe.. The Taalmala Digi-108 produces an amazingly realistic sound of the traditional tabla by ut.. The Taalmala Digi-60 Dx Electronic tabla Stereo is a state-of-the-art digital musical inst..